While AMC's The Walking Dead is still one of the biggest shows on TV, its now-infamous ratings slide shows no sign of stopping, with this past Sunday's episode reaching a low that hasn't been seen since Season 1. The 10th episode of The Walking Dead's 8th season, The Lost and the Plunderers, pulled in just a 2.9 rating in the pivotal 18-49 ratings demographic, with just 6.8 million viewers overall, in the Nielsen Live+Same Day numbers. This episode marks the first time that the show has fallen below a 3.0 rating since the Season 1 episode Wildfire (2.8 rating), the fifth episode of the six-episode inaugural season. The 6.8 million overall viewers for The Lost and the Plunderers is also the first time the show has dropped below 7 million viewers since the Season 2 penultimate episode Better Angels, which drew in 6.9 million viewers. The Lost and the Plunderers' ratings figures also represent a massive 20% drop from last week's mid-season premiere. That is one of the steepest drop-offs from a mid-season premiere to the next episode, and the mid-season premiere itself was the lowest-rated in series history, pulling in a 3.6 rating in adults 18-49 and 8.3 million viewers. With seemingly no end in sight to this slide, and six episodes left in The Walking Dead Season 8, the big question remains: how low will the ratings go? It is worth noting that The Walking Dead did go up against the Oscars telecast on Sunday night, which also hit a new ratings low, but this ratings slide has been part of an overall decline since the Season 7 premiere, where it was revealed that the newly-introduced Negan (Jeffrey Dean Morgan) killed off both Glenn Rhee (Steven Yeun) and Abraham Ford (Michael Cudlitz) in a rather brutal fashion. That episode also lead to numerous fans going so far as to file FCC complaints against the show, and while the show's ratings started to slide throughout Season 7, the continued decline in Season 8 has some fans worried about the future of the show. The mid-season finale was the lowest-rated since Season 2, and the Season 8 premiere was the lowest-rated since Season 3, despite the fact that the premiere was the milestone 100th episode of the show. Even with these huge declines, The Walking Dead was still the top-rated cable program of the night on Sunday, by far, but until the show levels off and starts to rebound, it's possible that there could be conversations about The Walking Dead endgame being planned. 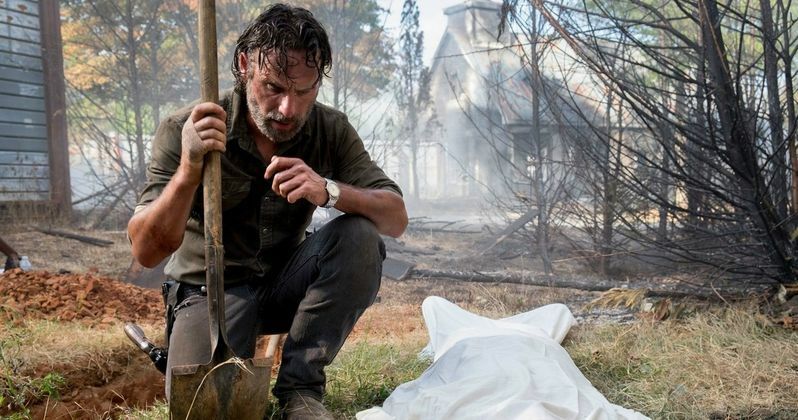 Next season will mark another big change, with longtime showrunner Scott M. Gimple, who has served as a staff writer since Season 2 and was named showrunner before Season 4 started production, replacing Glenn Mazzara. He has served as showrunner ever since, but it was announced in January that he will step down as showrunner to serve as Chief Content Officer for the entire Walking Dead franchise, which also includes Fear the Walking Dead, which he's now serving as an executive producer of, and future shows, with Angela Kang talking over as showrunner for The Walking Dead Season 9. You can read more about the ratings decline of The Walking Dead at Variety.